Most of us know that the original concept for modern-day transacting came about thanks to bartering systems developed by early civilisations: I will give you 3 apples for 3 of your eggs. If you agree to give me 3 more, I’ll help you round up your chickens. Early financial systems were all about trade of goods, time or skills for something requested in return. It was a system that worked relatively well, if perhaps somewhat inefficiently. After all, it relied on existing relationships of trust (so that I know I’m not getting bad eggs) and the ability to accurately value and match goods to reach a fair deal. Historians believe bartering dates back to around 6000 BC, with systems originally devised by the Mesopotamia tribes and adopted by the Phoenicians, then developed further by the Babylonians. What was used originally as currency had intrinsic value. Either it was made from precious metals like gold, bronze and iron – known as ‘specie money’ – or it was in the form of easily traded commonly-valued goods like salt, animal skins or weapons. In fact, systems similar to the latter are still used in some parts of the world. Salt was considered so valuable at one point in history that Roman soldiers were paid in quantities of it. The above systems are all based on swapping goods with intrinsic value, which became increasingly more mobile for practical reasons. As countries relied more on each other for imports, it was necessary to move towards more convenient and accurate means of swapping value. Paper money, itself holding no intrinsic value, was the first step into ‘representational’ money. The note used as payment would represent an actual quantity of gold held in reserve by the government, which saved people carrying around gold. And so the custom of paper money grew, as people began using warehouse receipts for stored weights of gold or silver, and only rarely turned up to collect the actual specie (gold) from the government – preferring to simply trade the notes. The swapping of receipts or ‘bank notes’ gave people the idea that representative items could be used in place of items of value. And just like that, money morphed into a promise; a signifier of debt. In other words, a note was proof that you were owed this much gold for the goods or services you provided. So when looking at the history of money, you can see how it evolved from a direct, in-the-moment transaction of value, into a transaction which can represent future value capable of being stored or redeemed at a later date. The shift to representational forms of money relied on a different kind of trust – trust that the guarantee of future worth would be honoured by governments. With governments acting as guarantors, everyone could get on with their business without having to worry. With such a centralised system, governments were given significant control over money. They could print more of it, outlaw or phase out certain notes, and impose high or low interest rates which affect the value of money. There are many factors at play beyond a single country which affects that country’s currency. In Europe, the shift towards paper money is what increased the amount of international trade that was possible. Then the wealthy classes and banks realised they could buy up other countries’ currencies, judging its future value by the stability of the nation’s monarchy or government, and thus its ability to trade. Partly because of this volatility, there are those who prefer to take a few steps back in history to a time when people invested in precious metals, rather than be invested in a particular currency. Gold, for example, does not attract interest like riskier investments; but it also isn’t anywhere near as volatile or vulnerable to losing value. It’s considered a ‘safe haven’. Interestingly, this ‘safe haven’ outside of the cash system has been under attack in several countries, where at various times in the last century private ownership of gold has been outlawed. During the Great Depression, US President Roosevelt outlawed ownership of gold and gold certificates (in a roundabout way, this was to help bolster the value of the US dollar by increasing the value of gold to which it still referred). In 1971, US President Nixon unilaterally cancelled the direct convertibility of notes into gold and US dollars became ‘fiat currency’. Now, pretty well all the world’s countries are fiat currencies. This means that rather than representing a commodity physically held in reserve, the money is simply declared legal tender by a government, and that’s what gives it value. Today many countries have legislation in place to outlaw gold, if they choose to do so. So the ability of citizens to exchange value, without interference from the government, has greatly reduced since the early times of bartering and ‘species money’. OK, so what about decentralised fiat money? These developments have brought us to where we are now – an era where money largely exists in a digital sense, rather than a tangible one. A vast amount of transactions in the world no longer involve physical money. They are executed electronically in the form of digital cash, signified by numbers on a database. In a way, when we ‘hold’ this money we don’t actually ‘hold’ it at all, and it’s not really money in the traditional sense. It’s actually a ledger; a digital scoreboard with points and demerit points alongside our names, representing value we owe versus value owed to us. With an understanding of the journey so far, it’s not so surprising that we now have a whole new generation of currency – the cryptocurrency. The latest evolution of money was born with Bitcoin – the first digital currency aka ‘cryptocurrency’. 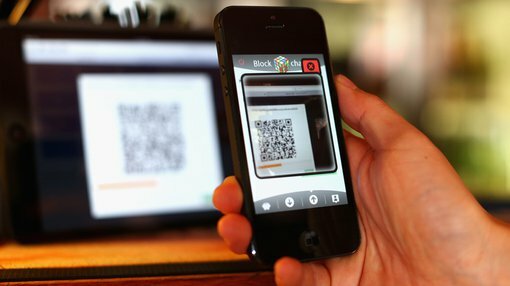 Bitcoin was created using revolutionary ‘blockchain’ technology, which literally means a chain of digital records kept on a register in blocks. As the ledger is distributed across a database of computers which all maintain the ever-growing chain of blocks, it is a decentralised system that’s difficult to hack. Each block contains a timestamp and a link to a previous block, which means the data cannot be altered retrospectively – making it highly secure and protected from corruption. It also solves the ‘double spending problem’ (a stumbling block for digital currencies in the past where users could spend their ‘digital’ dime twice, thanks to the ease of digital duplication). Bitcoin currently has a total market cap of around $16 billion. But it’s no longer the only ‘altcoin’ digital currency out there – several others now exist, including a currency created by Ethereum called Ether. In 2016, Ether maxed out at $1 billion in value. Ethereum’s Ether currency works on the same principle as Bitcoin, but its application of blockchain technology goes beyond cryptocurrency and into general de-centralised record-keeping. Many believe cryptocurrencies could be the future of transactions, as more countries aim towards cashless economies. From bartering, ‘species money’ and representational money, to fiat currencies and now cryptocurrencies – it seems humans have taken something personal and small-scale and created a complex universal system affected by a vast amount of local and global variables. The evolution from barter to banking to Bitcoin is fascinating. But will digital currencies mark the end of money as we know it? When we see how far we’ve progressed in only a short time, evolution-wise, it’s fascinating to consider what transactions will look like 20 or 50 years from now.